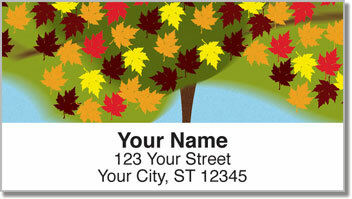 It's one of the most recognizable trees in the woods, and one of the most colorful when autumn leaves start to fall. The maple tree gives kids those seed pods that turn into little helicopters when you throw them in the air. It also gives you sweet maple syrup for your pancakes and relaxing shade in the heat of summer. 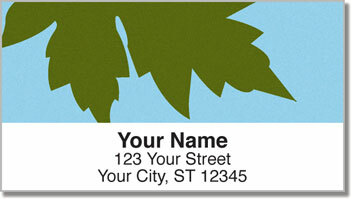 These labels pay tribute to the maple tree and it's lovely leaves. But they are more than just a finishing touch for your mail. 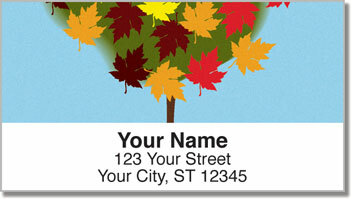 You'll save a ton of time because you'll never have to write your name and address on an envelope ever again. 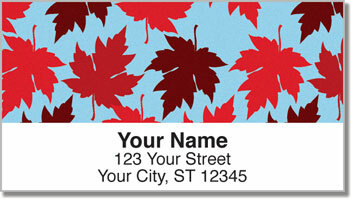 Get your own Maple Leaf Address Labels right now! Order them with a set of matching checks.